Even though most people believe that bad odor from ears is a sign of infection, there are several other non-infectious factors that cause smelly ear. Some of the common causes for gross smell from the ears include ear wax, tumor, infection and hygiene. The outer ear has ceruminous and sebaceous glands that secrete cerumen and sebum respectively. The liquid secreted by these glands mixes with the squamous debris which sloughs off from the outer surface and lining of the ear drum to form a solid consistency called earwax. The chemical composition of ear wax make it bitter tasting and it helps in repelling insects from entering the ear canal. At times, ear wax may develop foul smell because of its chemical composition. A few other reasons for foul odor form ear wax include presence of dead cells, fungus and bacteria. At times, offensive odor may be due to the excessive cleaning of the outer ear. When you clean the ear using a matchstick, cotton ear buds or hair pin, you interfere with the normal ear cleaning mechanism of the body. Also, the chances of injury or infection in the ear increases, if you use sharp or unhygienic products to clean the ears. At times, the ear wax can also get affected and may even perforate the eardrum which can result in the formation of cholesteatoma. One of the most common causes of smelly ear discharge is infection in the middle and outer ear. Initially the discharge may appear white and odourless but could progress into a foul smelling discharge. 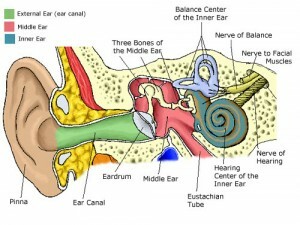 If the infection in the ear becomes chronic, the color of the discharge may change to green or yellow. Most infections in the ear are bacterial infection, though some infections may be fungal infections. In fungal ear infection, the discharge from the ear is not pronounces and may just be a thin clear discharge. Cancer of the ears can cause problems in the inner, middle and outer ear. Cancer in the middle and outer ear can cause ulceration and may even destroy the surrounding tissues. Some of the symptoms of ear cancer include acute pain and blood stained discharge from the ears. At times, cancer in the ears may have a negative impact on sense of hearing. Cholesteatoma is a keratin mass that is present in the middle of the ear. This keratin mass may be present from birth or may be acquired due to chronic infection in the middle ear. Cholesteatoma may cause destroy the surrounding tissues and even damage the skull. Even though there is no perforation, the discharge due to cholesteatoma may is released through a retraction of the eardrum. In early stages, cholesteatoma may be scanty and painless but may contain offensive smell. In this condition is not treated, it may cause serious problems which may need immediate medical attention.